Kinesiotaping is to facilitate the body's natural healing process while allowing support and stability to muscles and joints without restricting the body's range of motion (ability to move properly). It is used to successfully treat a variety of orthopedic, neuromuscular, neurological and medical conditions. Kinesiotape is designed to facilitate the body's natural healing process and provide extended support to the joint after soft-tissue treatment (ie. Graston). 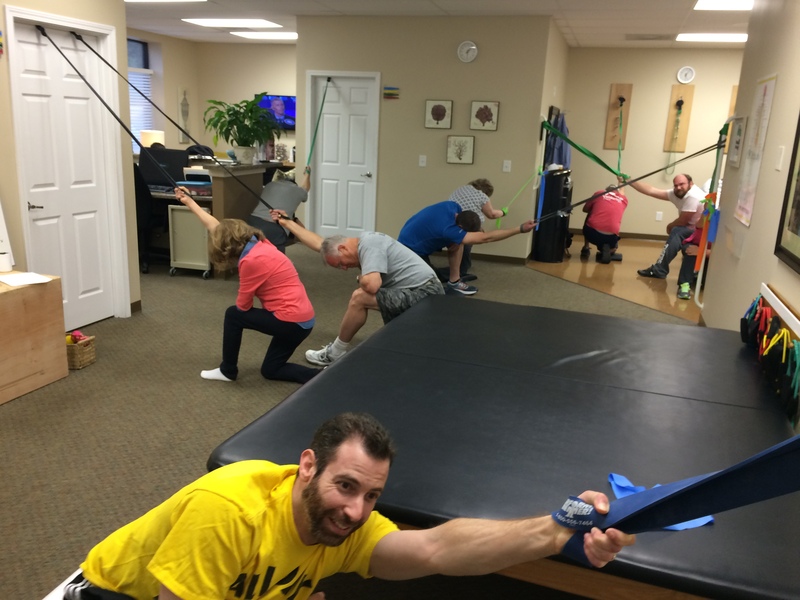 Kinesiotape is safe for populations ranging from pediatrics to geriatrics. By targeting different receptors within the somatosensory system, the tape alleviates pain and facilitates lymphatic drainage by lifting the skin. This lifting effect forms convolutions in the skin thus increasing the interstitial space and allowing for decreased inflammation. Kinesiotaping can also help to stabilize a weak lumbar spine while receiving treatment from spinal decompression. 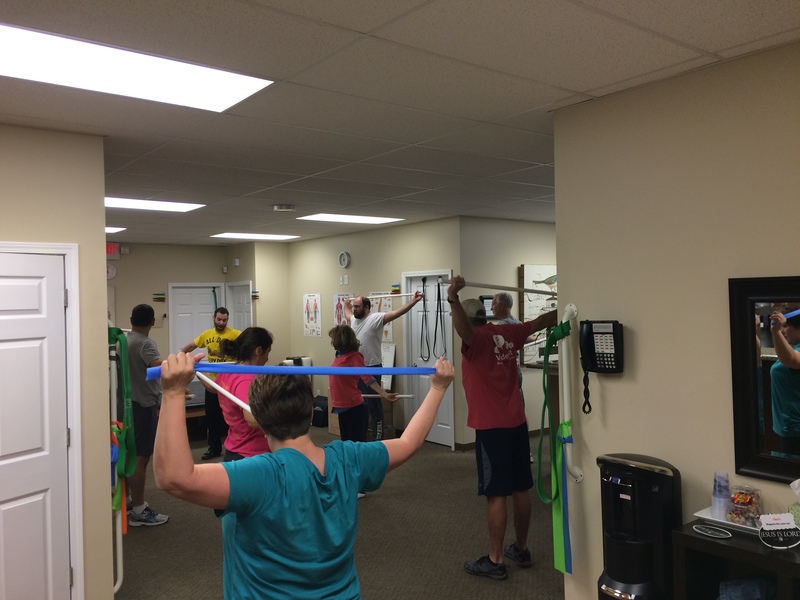 Class focus is designed around the need for an improved range of motion/mobility. There is a series of six different classes. 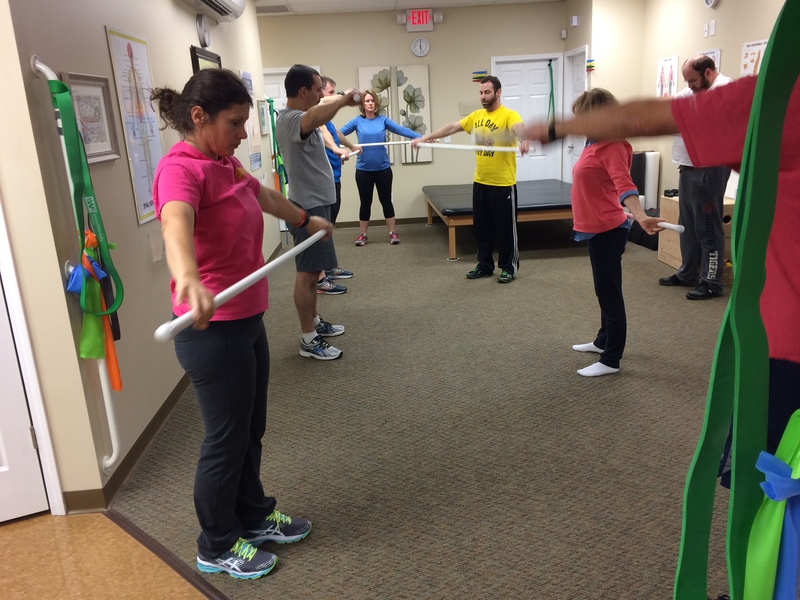 Combinations of different supporting muscle groups are worked together. 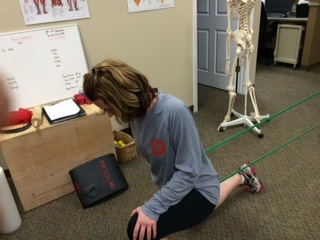 To get the best results we use stretch bands to create additional tension. 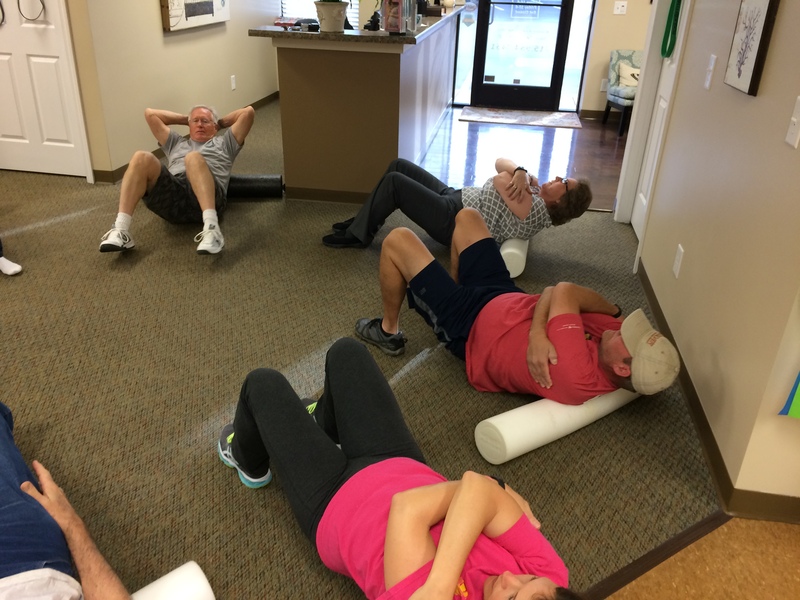 Foam rollers are used to release tight tissues as we work the top layers of muscle. Improved mobility techniques that can be used in most settings, which will give you results.